taxhelp.uk.com is ATT registered in practice | Tax Accountant in Surrey, helping the self-employed. The Association is a charity and the leading professional body for those providing UK tax compliance services. Their primary charitable objective is to promote education and the study of tax administration and practice. One of their key aims is to provide an appropriate qualification for individuals who undertake tax compliance work. Drawing on their members’ practical experience and knowledge, the ATT contributes to consultations on the development of the UK tax system and seeks to ensure that, for the general public, it is workable and as fair as possible. ATT members are qualified by examination and practical experience. They commit to the highest standards of professional conduct and ensure that their tax knowledge is constantly kept up to date. Members may be found in private practice, commerce and industry, government and academia. The Association has over 12,000 Fellows, members and students. 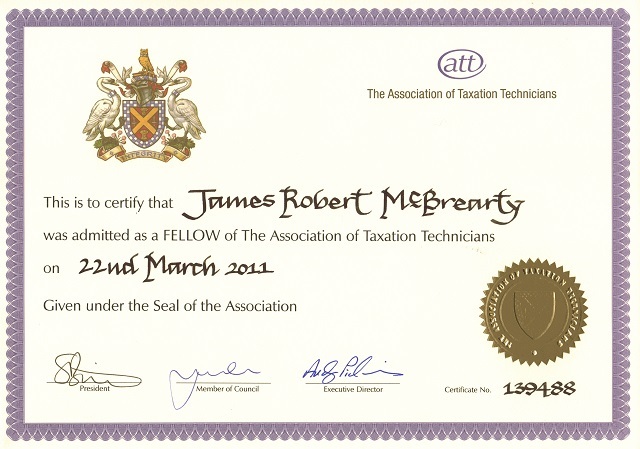 Members and Fellows use the designatory letters ‘ATT’ or ‘ATT (Fellow)’ respectively.